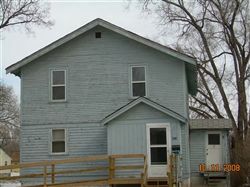 Home > Advanced Search > List of properties > 523 N 12th St. Description: This 2 bedroom 1 bath unit is located in the Cathedral District only a few blocks North of Main Street in Bismarck. 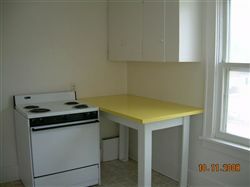 The kitchen features recently updated vinyl flooring and has large daylight windows. Both bedrooms in this unit are large and have walk in closets. The bathroom has a custom, built-in medicine cabinet and unique tiling creating the perfect accent to the wall. Resident is responsible for electricity. Coin operated laundry is available on site and there is off street parking with plug-ins for residents. Animal friendly property for animals under 20lbs. 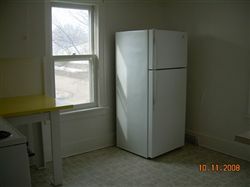 2 bedroom 1 bath, tenants pay lights, coin operated laundry, off street parking with plug-ins. Small pets less than 20 lbs. ok.